Chalk up another great trading week for the bulls. Because once again, large-cap stocks were off to the races! And looking at some of the charts out there, it almost feels like all-time highs are reaching out and pulling price up. That’s just how strong this recent bounce has been! So in today’s update, let’s take a quick look at these bigger picture moves on the indexes and then zero-in on some individual trade ideas. Now to start us off today, let’s examine the broad market momentum, and why it looks like it might be able to keep going. 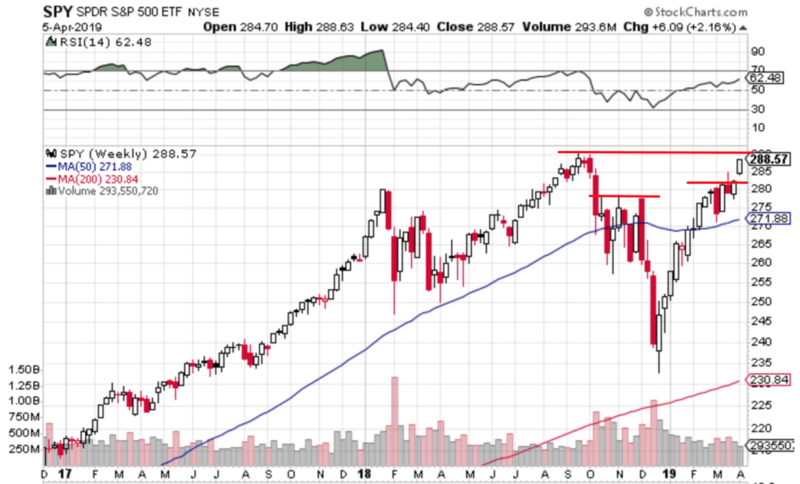 Whether it’s the result of stabilizing macroeconomic data points, a breakout in emerging markets, or an imminent China-US trade deal (or even something else entirely!) there’s no denying the bullish price action this past week. Rather than take my word for it though, here’s a weekly chart of SPY. As you can see, the most recently weekly candle features a very clean breakout from the recent squeeze with all-time highs now within spitting distance. So for my money, I think it’s not unreasonable to assume we could continue to coast higher (up to all-time highs). At that point you might expect some resistance. But so far overhead supply hasn’t been much of a factor for this rally. And then when you look at some of the other market trends in stocks, it feels like equity strength may be broader than just SPY. In fact, the popular FANG stocks haven’t even participated that much recently. For the most part, they’ve been going sideways for months and so any traction out of this group could be another meaningful tailwind. After all, FB and AMZN are just starting to perk up now without much sign of slowing down. 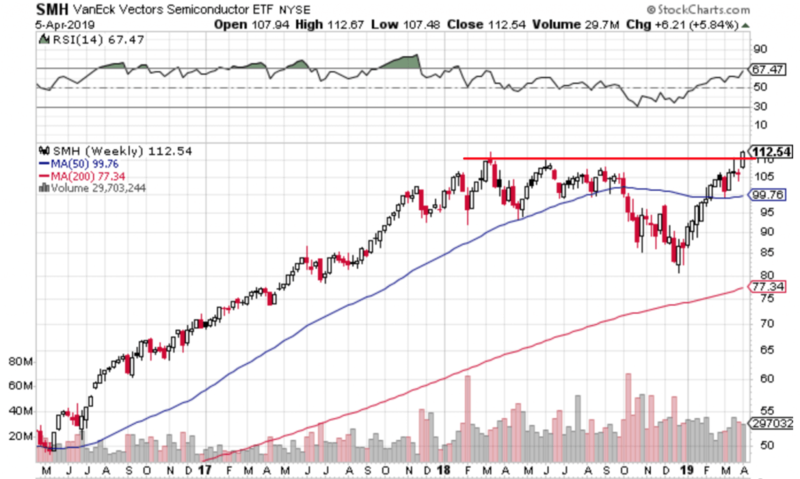 And along the same lines, take a look at the SMH ETF to see how semiconductors are also demonstrating impressive momentum. One of the things to note about SMH is how the chart went sideways for such a long time. After this consolidation and potential accumulation, the next leg higher could have some room to run. Now outside of large-cap and tech stocks, I think the overall picture of price action also maintains a bullish lean. Because while small caps are still below their February highs, most of the other market sectors look good (if not a little stretched). 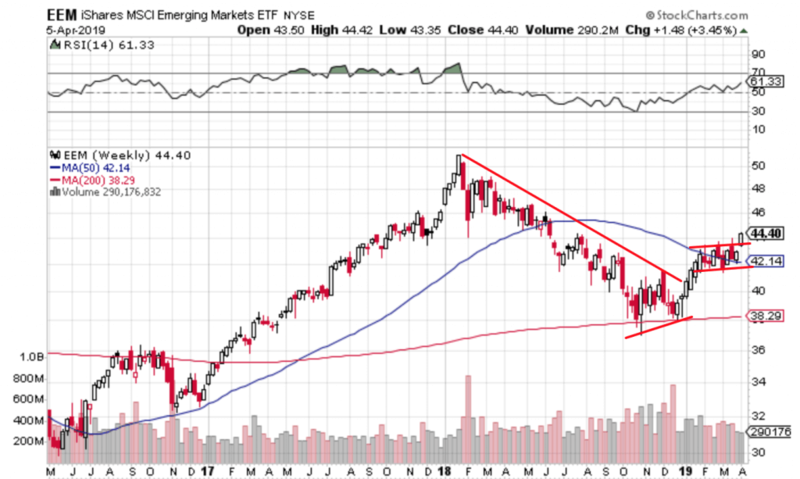 And beyond the US, I can’t help but notice the progress emerging markets are making on confirming a potential bottom and starting a new uptrend. Remember, one of the hallmarks of the 2017 bull market rally was the global participation. And thus if we can see that kind of synchronized upside again in 2019, I’ll be even more comfortable on the long side. Now speaking of stocks, let me show you a few of my personal favourites right now. Alright, to kick things off today I first want to show you a few of my own positions that are setting up again, and then look at some new charts I don’t yet have in my trend following portfolio. So first things first, Argan Inc (AGX) is of interest again this week as it continues to try and carve out a bottom. And thus far, the stock really is making good progress. 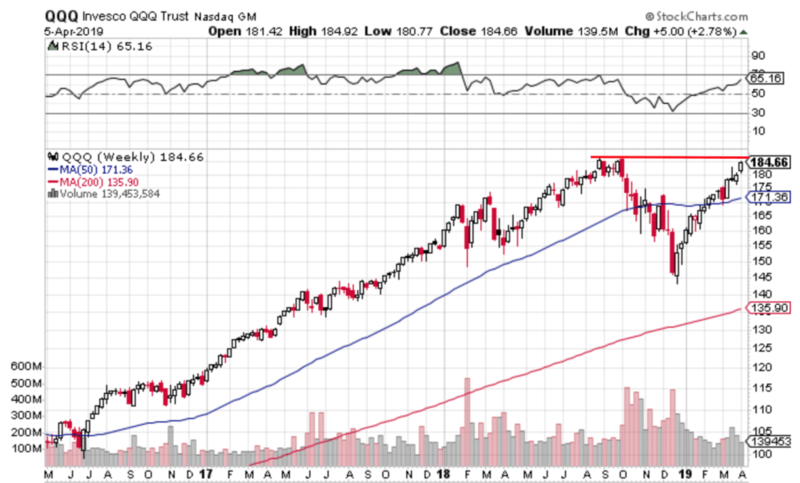 Since I like buying new 52-week highs, I almost feel compelled to mention this stock. The other interesting thing I like about this chart is there’s still a fair amount of breathing room between the current price and potential resistance above. So with any luck, this intermediate-term trend higher could be the path of least resistance. 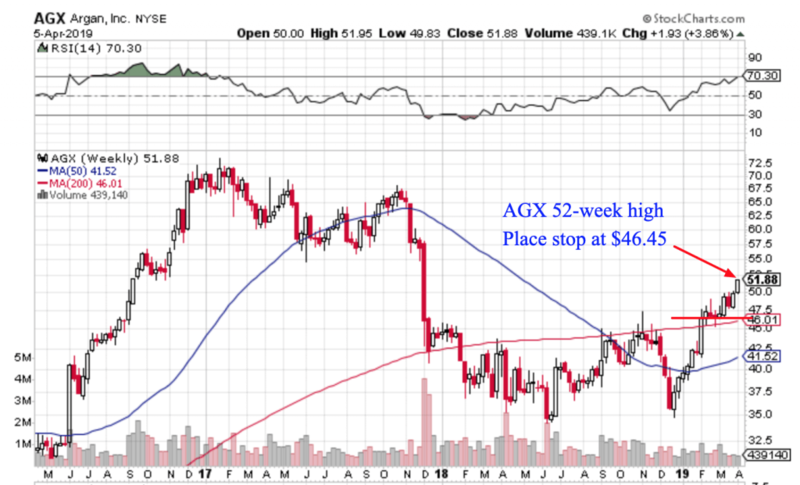 Or put another way, f you like buying newer uptrends, then AGX might be one for you. 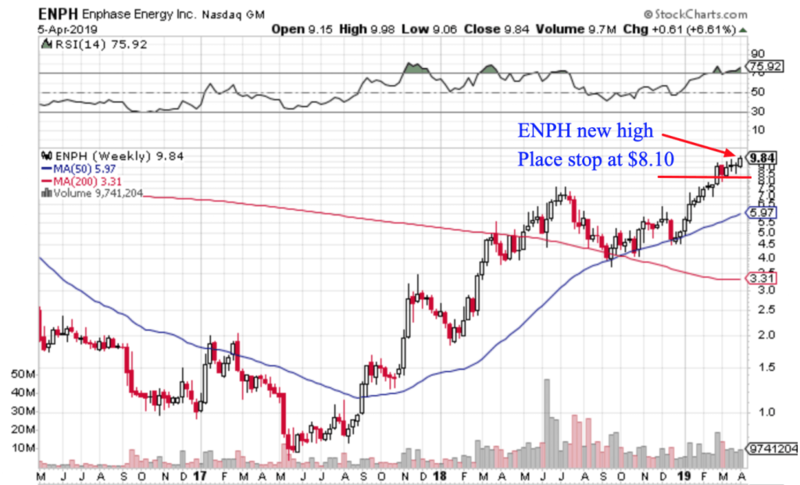 On the other hand though, if you prefer stocks that are trending higher and higher, Enphase Energy (ENPH) might just be the one to tickle your fancy. The other reason I wanted to mention ENPH is because it’s an energy stock. And with oil and XLE making recent highs this week, I hope this stock may benefit from top-down strength in the sector. Make sense? Alright. Now for some new ideas! 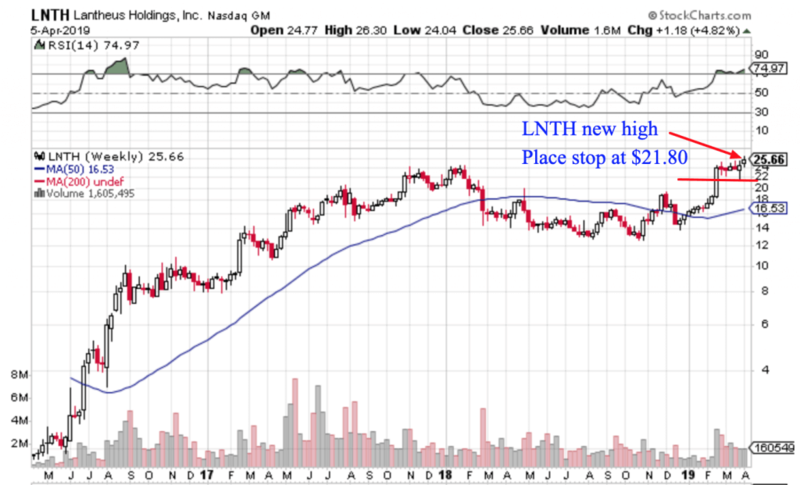 One chart I’m quite interested in this weekend is Lantheus Holdings (LNTH), as it’s starting to poke up to new highs, but only after a very long multi-year trading range. This lower-priced idea might just be ready for a next leg higher. 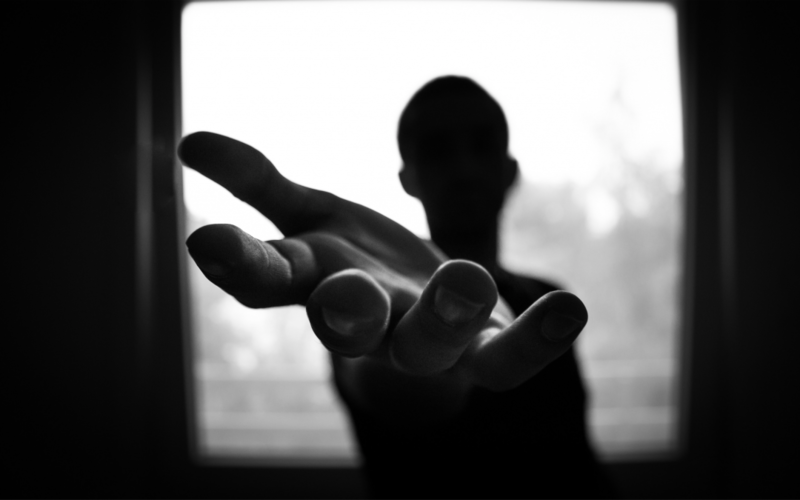 The underlying business has started to see some top-line growth recently a growing, so I’m cautiously optimistic improving operating results could lead to a lasting move in the stock price. And speaking of improving fundamentals, another new company that has my attention right now is K12 Inc (LRN). While the stock has a bit of a pricey valuation, there’s a case to be made it’s growing into it. Now I can appreciate this one has already moved pretty far this year. And as I said, the valuation isn’t cheap. 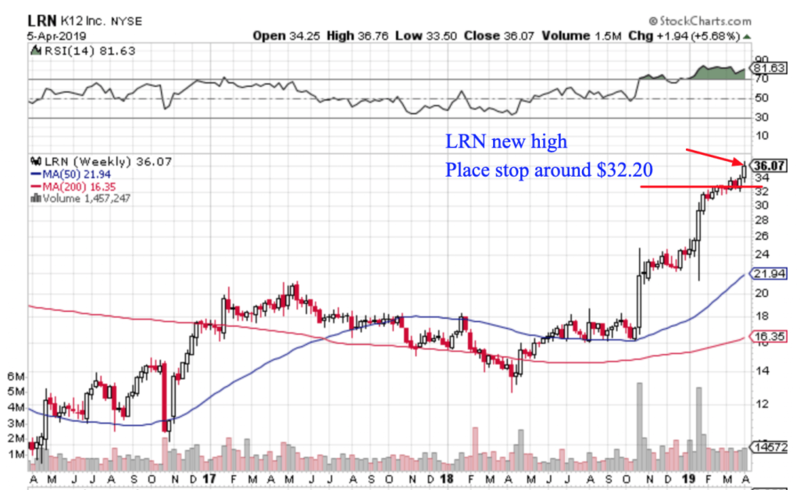 But considering the previous price action – notable those two big breakouts – coupled with the fact there are only 40M shares outstanding, and LRN may be able to keep squeezing up! 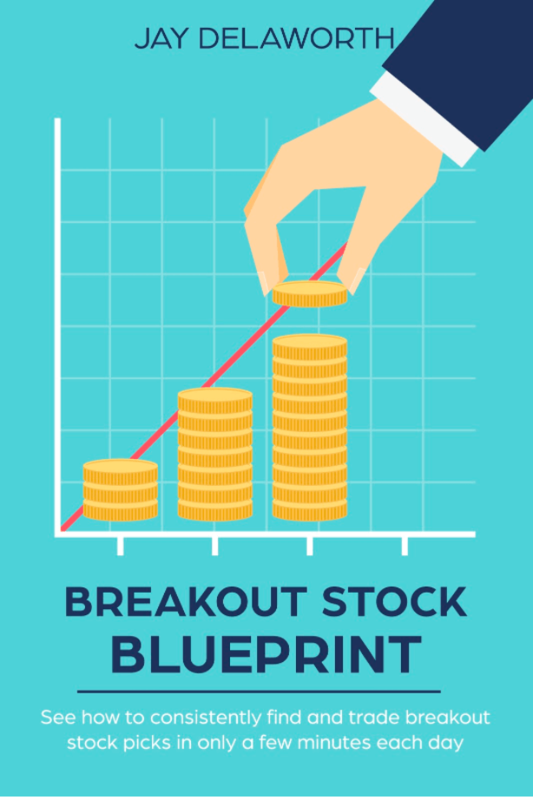 So I hope these stock ideas help you see where I’m spotting potential opportunity; but even more importantly, what characteristics I’m looking for in breakout trade ideas.